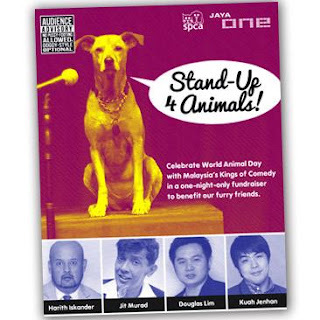 Thunderdogs Malaysia had a blast at the Stand Up for Animals comedy evening yesterday. We met a lot of people, who had dogs with various anxiety issues, who were quite interested in getting a Thundershirt for their dog(s). It was really interesting to meet everyone and we hope that we managed to answer all of your questions. One of the most popular questions for the night was "Does the Thundershirt work?". 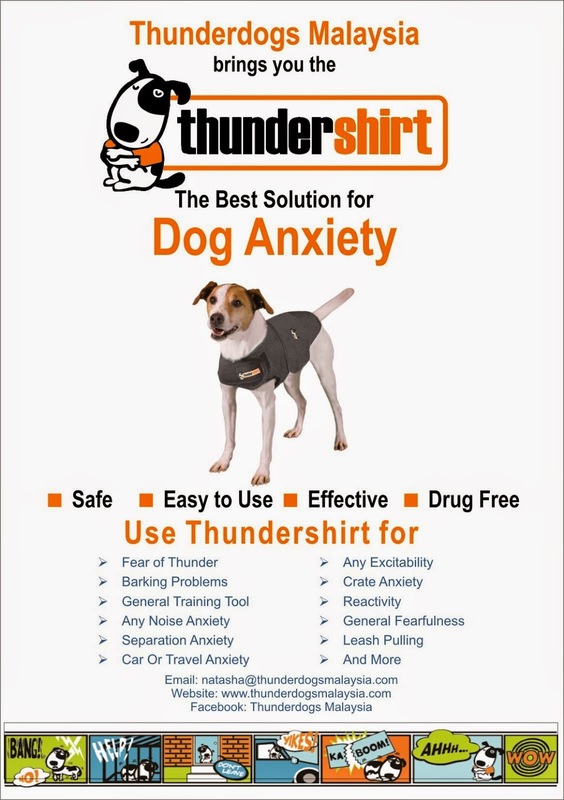 Well, we definitely believe that the Thundershirt does work and will address most anxiety issues that your dog might face. 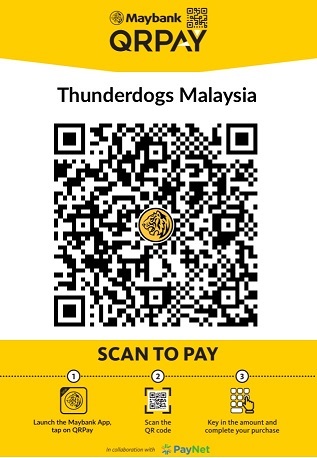 We were first introduced to the Thundershirt in 2010 by Sarah Fisher - UK's top dog trainer, and we used it very successfully with Lucky, our most difficult rescued dog to-date. Lucky had severe anxiety issues particularly fear aggression. This meant that he was incredibly unpredictable and would bite if he felt threatened in any way. He was highly unstable and was absolutely miserable as he was literally scared of everything. We were at our wits end until we used the Thundershirt. As Lucky's case was incredibly complicated, we had to use the Thundershirt together with TTouch Therapy and clicker training. Here is a short video showing how we incorporated the Thundershirt into Lucky's training with the clicker. *We wish that we had taken a video of how badly behaved Lucky was prior to the Thundershirt, but at the time we didn't think of it. So in this video, Lucky's temperament had already improved by leaps and bounds in just 2 short weeks of using the Thundershirt. For those of you who may have further questions, please do browse through our website and hopefully your questions will be answered. However if you do have specific questions regarding your dog's issues which are not addressed in this website, please feel free to drop us an email and we will answer your questions to the best of our abilities.